Boucheron Quatre Absolue de Nuit Pour Femme by Boucheron is a Oriental Floral fragrance for women. This is a new fragrance. 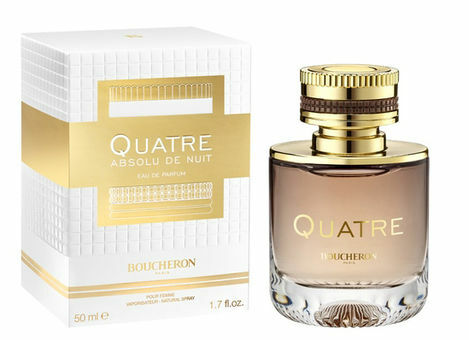 Boucheron Quatre Absolue de Nuit Pour Femme was launched in 2017. The nose behind this fragrance is Nathalie Gracia-Cetto. Top notes are pink pepper, bitter almond and bergamot; middle notes are jasmine, tonka bean and pear; base notes are sandalwood, vanilla and amberwood.